Change the "look" of pictures using Unlimited Filters picture editor! Unlimited Filters Basic 1.2.2 (Win&Mac) was available as a giveaway on April 14, 2017! The person with the best improvement idea for Unlimited Filters Basic will get a Unlimited Filters Pro Version! How would you improve Unlimited Filters Basic 1.2.2 (Win&Mac)? apply filter(s) to only some parts of the picture. 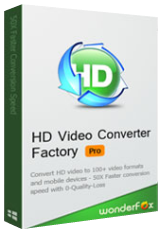 Photoshop and co let you undoubtedly do quite a lot and the 3-way color correction of most video editing software offers a lot of possibilities. Yet the newly developed software Color Cone allows for much finer and more individual adjustments. In addition Color Cone is a very intuitive software and thanks to the specially designed Color Warp technology it is able to deliver very harmonious results. it is a smooth process, no issue for my win10 x64 os. i never use filter before in image s/w. i want to try it out on this s/w. thanks, GOTD & Picture Instruments. it is a smooth process, no issue for my win10 x64 os. i never use filter before in image s/w. i want to try it out on this s/w. thanks, GOTD & Picture Instruments. If you go to their website, click on or highlight "Products / Buy" you'll see at the very bottom of the list that appears "Filter Sharing". Click on it & It'll take you to the free filters page. I just stopped by to see what today's giveaway of the day was like I have everyday for as long as I can remember. I don't use this type of software but the comments and reviews made me want to know a little more about the company and their products. I followed a couple links to two company sites and they look well put together. Most of their products seem to come with a 14 day trial and who could argue about a try before you buy policy. I can't evaluate this product but I thought, this would be a good time to say, thanks to.... the giveawayoftheday team, Picture Instruments/Brainworx for today's give away, and to our fellow members who not only take these products around the block but then take the time to tell the rest of us, the good, the bad and yes, sometimes even the ugly. Salute!! I just stopped by to see what today's giveaway of the day was like I have everyday for as long as I can remember. I don't use this type of software but the comments and reviews made me want to know a little more about the company and their products. I followed a couple links to two company sites and they look well put together. Most of their products seem to come with a 14 day trial and who could argue about a try before you buy policy. https://www.picture-instruments.com/home/index.php http://www.brainworx-music.de/en/references I can't evaluate this product but I thought, this would be a good time to say, thanks to.... the giveawayoftheday team, Picture Instruments/Brainworx for today's give away, and to our fellow members who not only take these products around the block but then take the time to tell the rest of us, the good, the bad and yes, sometimes even the ugly. Salute!! Good Afternoon. My sugestion would be to put into software the compatibility of Chroma Key and open a forum for the people give their opinions about changes or to add other things. Can the program be installed on a drive other than the C: drive? It turns out that some new filters can be created even in the "IrfanView", first open one of the jpg filters (where the squares), and then save the file with a new name. Then download it (open) in the program. 1. The program is interesting and original 2. After registering it, you need to download filters from the official site (https://www.picture-instruments.com/products/index.php?id=1) 3. Then install them in the program (do not pay attention that they are in jpg-format) 3. These filters can be made in another program from “Picture Instruments”. (Probably in the program “Color Cone”, and in the program “Look Converter” it is possible to convert). It turns out that some new filters can be created even in the "IrfanView", first open one of the jpg filters (where the squares), and then save the file with a new name. Then download it (open) in the program. There was enough disagreement about this program that I decided to try it out. I shoot a lot of photos and use Photoshop a lot, although I don't use "filters" much at all, so I wanted to see if it would make using filters easier or better. Program setup: Downloading took about four minutes (i3 3.7Ghz, Chrome, Win10 Home, 100mb connection). Installed 64-bit version. Registered as per instructions. Key was sent to my email, BUT -- gmail put it in the SPAM folder! Entered key into program, it was accepted first time, program ran fine. Using program: It starts up, and one has no idea where to start. There are no "tool tips" or anything to help you get started. The two biggest icons at the top are of no use - the first one is to "save a filter you've created." Well THAT's getting ahead of ourselves! The second is to IMPORT a filter, but - what does this program consider a FILTER? Where would I IMPORT it from? Finally I figured out how to load a jpg, so I did. Then I could apply the simple little filters in the right-hand panel of the program. That's as far as I could get without resorting to instructions. So it's off to look at the video tutorial on this page. Hmmm. The first 2:28 of the tutorial are rather vague, and don't really explain anything. At 2:29, it really goes downhill. It says "As an example, open a filter in Photoshop." WHAT filters? Although I understand Photoshop pretty well, use layer masking, etc., I could not follow what they were getting at. They say the filters have to change color, brightness or saturation, so they can't mean all the built-in filters that Photoshop has. I don't know where they expect you to get these "filters" they're talking about. Okay, then the tutorial mentions "downloading filters from their website." Where's that? Nothing seems to mention the URL, not in the program and not anywhere on this page. Visiting their website (www.picture-instruments.com), I could find NO MENTION of this collection of filters - at least not after about five minutes of hunting around. And so that was that. Bottom line: I have to agree with the folks who said this program is a waste of time. It is. Totally. Rob, If you go to their website, click on or highlight "Products / Buy" you'll see at the very bottom of the list that appears "Filter Sharing". Click on it & It'll take you to the free filters page. If you have no image software then this may be of use - however if you have no image software then you will probably never use this. I have Lightroom ...and can apply all colour, tone,saturation, contrast, exposure ...etc. then if I want save this as a preset and apply & reuse as much as I want. Complete waste of time to install. Won't load any jpg's and has very few features. 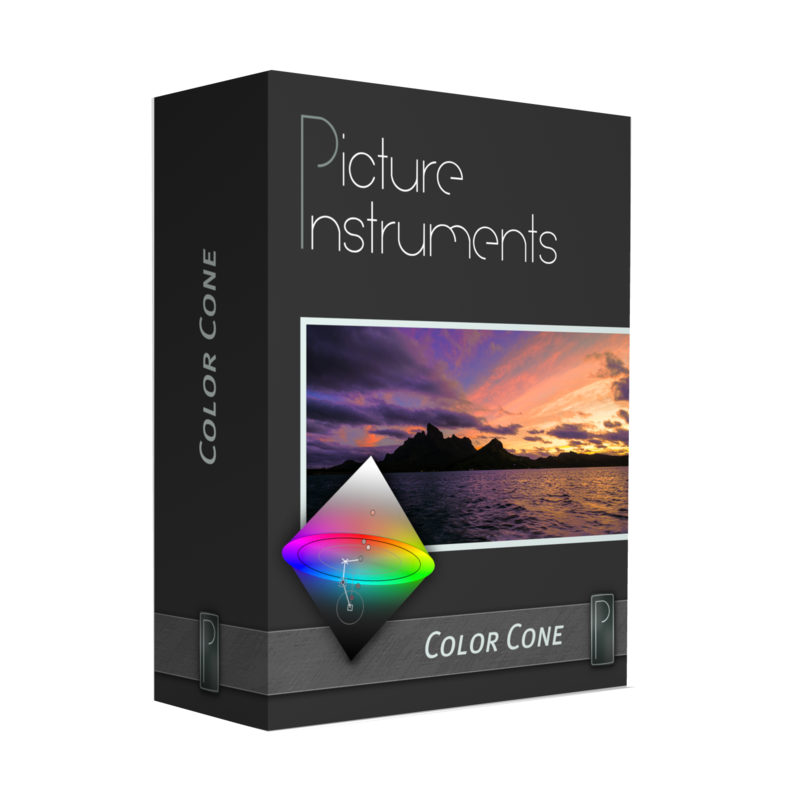 Those who are not photographers may not appreciate this software. There is a link to filters created by others on their site. This enables you to make or adjust filters. I have yet to find a filter that truly emulates sepia tone correctly. If you can't see or understand the nuances this software makes available, you don't need this program. >There is a link to filters created by others on their site. Would you be so kind as to explain (for those of us who have difficulty finding things / myself included) where this additional filter source link is ? I've been to the site and can't find it. HI Judi, >There is a link to filters created by others on their site. Would you be so kind as to explain (for those of us who have difficulty finding things / myself included) where this additional filter source link is ? I've been to the site and can't find it. I couldn't find the link either. But after some digging on their website, I found out that if you hover your mouse over Product/Buy tab at the top of their web page and left click on Filter Sharing, you can find some downloadable filter packs as well as individual filters. Frank Russo, in list of products/buy menu at the bottom "Filter Sharing"
Frank Russo, If you go to their website, click on or highlight "Products / Buy" you'll see at the very bottom of the list that appears "Filter Sharing". Click on it & It'll take you to the free filters page. Judi, If you go to their website, click on or highlight "Products / Buy" you'll see at the very bottom of the list that appears "Filter Sharing". Click on it & It'll take you to the free filters page. Thanks or the heads Up ! They did send the registration code, but refused to activate the software. Maybe I'm missing something, but where are the filters?? All I am seeing is the ability to make very simple adjustments in things like hue & saturation -- colors, basically! "Color adjustments" vs. the "filters" we've all grown to know and love. With a claim of "Unlimited filters" I would expect more than sepia and black & white, and way less instruction on how to save a sepia "filter" for later use, and oh, for sharing (ha! really?). Even Irfanview does all this. There's the free (and simple) Photoscape. There's Fotor. There's a plethora of free and easy online sites, web apps and mobile apps to do these incredibly simple photo maneuvers and SO much more. $25? For color adjustments? And what, pray tell, do you get in the $75 pro version? Again, my apologies if there's some amazing, unique and must-have feature this program comes with, but if there is, maybe show it? Maybe I'm missing something, but where are the filters?? All I am seeing is the ability to make very simple adjustments in things like hue & saturation -- colors, basically! "Color adjustments" vs. the "<b>filters</b>" we've all grown to know and love. With a claim of "Unlimited filters" I would expect more than sepia and black & white, and way less instruction on how to save a sepia "filter" for later use, and oh, for sharing (ha! really?). Even Irfanview does all this. There's the free (and simple) Photoscape. There's Fotor. There's a plethora of free and easy online sites, web apps and mobile apps to do these incredibly simple photo maneuvers and SO much more. $25? For color adjustments? And what, pray tell, do you get in the $75 pro version? Again, my apologies if there's some amazing, unique and must-have feature this program comes with, but if there is, maybe show it? Whisperly, Thank you for your comment. You said all I need to know to not bother to download and install this program. "Maybe I'm missing something, but where are the filters?? All I am seeing is the ability to make very simple adjustments in things like hue & saturation -- colors, basically!" There are several image editing apps where the user can apply various looks from a selection. Instead of individual, separate filters, each look represents a collection of settings using one or more of the same filters -- the advantage is not having to spend time experimenting with filters & their settings to get the look you're after. 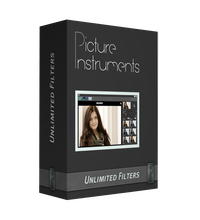 Unlimited Filters provides a way for you to create those sorts of presets yourself. This is similar to the way in some apps you can save a set of adjustments to be applied in batch processing, kind of like a macro in an Office app. The latter would likely be more powerful, but Unlimited Filters will probably be easier, depending on what you're doing. So as on the Unlimited Filters product page, you apply whatever adjustments to the basic, neutral filter, then save the results to be re-used as often as you wish, whenever you wish. But that requires applying the filters you created in Unlimited Filters... the Pro version lets you export your saved filters or presets. Because when you apply a filter in Unlimited Filters you're not actually running the original filter(s) or FX you used, but applying the overall, total change you achieved, the filters you save likely can't be exported as P/Shop compatible plug-ins -- instead they're exported [in the Pro version] as 3D-LUTs. You can Google on "LUT" [w/out quotes] for more info, but very basically a LUT gives you a display value for every color in an image, e.g. for display calibration, establishing a look for a film etc. Whisperly, <i>"Maybe I'm missing something, but where are the filters?? All I am seeing is the ability to make very simple adjustments in things like hue & saturation -- colors, basically! "</i> There are several image editing apps where the user can apply various looks from a selection. Instead of individual, separate filters, each look represents a collection of settings using one or more of the same filters -- the advantage is not having to spend time experimenting with filters & their settings to get the look you're after. Unlimited Filters provides a way for you to create those sorts of presets yourself. This is similar to the way in some apps you can save a set of adjustments to be applied in batch processing, kind of like a macro in an Office app. The latter would likely be more powerful, but Unlimited Filters will probably be easier, depending on what you're doing. So as on the Unlimited Filters product page, you apply whatever adjustments to the basic, neutral filter, then save the results to be re-used as often as you wish, whenever you wish. But that requires applying the filters you created in Unlimited Filters... the Pro version lets you export your saved filters or presets. Because when you apply a filter in Unlimited Filters you're not actually running the original filter(s) or FX you used, but applying the overall, total change you achieved, the filters you save likely can't be exported as P/Shop compatible plug-ins -- instead they're exported [in the Pro version] as 3D-LUTs. You can Google on "LUT" [w/out quotes] for more info, but very basically a LUT gives you a display value for every color in an image, e.g. for display calibration, establishing a look for a film etc. mike, Thank you for your complete answer. I will now try the product. William W Gorman Jr, If you go to their website, click on or highlight "Products / Buy" you'll see at the very bottom of the list that appears "Filter Sharing". Click on it & It'll take you to the free filters page. Andreas, Mac download is below the software description. installed OK on my 7 64b , key arrived quickly. Only after browsing the manual PDF, I understood the concept of this GOTD. It lacks key feature with this version, one can't move the vignette centered position. installed OK on my 7 64b , key arrived quickly. Only after browsing the manual PDF, I understood the concept of this GOTD. It lacks key feature with this version, one can't move the vignette centered position. "It lacks key feature with this version, one can't move the vignette centered position." I don't think that the dev(s) behind Unlimited Filters was really after the pro & semi-pro markets. I think that they'd [pros] more likely import a batch of photos into Lightroom [or similar], set a full range of adjustments to the entire batch, then tweak those settings for any individual photos as needed. Those adjustments are stored as scripts to be applied when the photos are exported out of Lightroom, so changing stuff, now or later, to an individual or all photos, it's not a very big deal. That's NOT saying Unlimited Filters wouldn't be useful to some pros & semi pros -- I just don't think that they're the target market. adif, <i>"It lacks key feature with this version, one can't move the vignette centered position. "</i> IMHO, purely FWIW & all that... I don't think that the dev(s) behind Unlimited Filters was really after the pro & semi-pro markets. I think that they'd [pros] more likely import a batch of photos into Lightroom [or similar], set a full range of adjustments to the entire batch, then tweak those settings for any individual photos as needed. Those adjustments are stored as scripts to be applied when the photos are exported out of Lightroom, so changing stuff, now or later, to an individual or all photos, it's not a very big deal. That's NOT saying Unlimited Filters wouldn't be useful to some pros & semi pros -- I just don't think that they're the target market.